I’ve been all over the place these last couple weeks. Our first location was about two hours north of Ithaca, just outside of Watertown. Here, we had to do a lot of soil sampling and a few other measurements, including counting the number of corn plants in a 40-foot row, plant height, and number of leaves per plant. We took soil samples at both 8- and 12-inch depths, as well, so this made for some long days. Another new measurement I took was with the GreenSeeker, which is a handheld device that shoots an infrared beam down onto the crop. As you walk over the row, it measures the light that is reflected back up to it and gives you an average value when you release the trigger. The values range from zero to one, and the higher the number, the greener (and healthier) the crop should be. I’m really excited to use this for whole-field mapping in the future. Our second location was west of Rochester. We took the same types of measurements as we did in the first location, but the plot layout and sizes were all different. The only new thing I’ve done in the last few weeks is plant grinding. 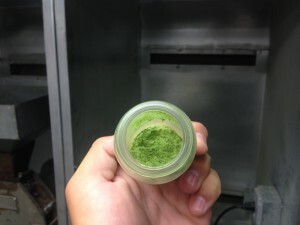 I basically but six-inch tip samples of alfalfa into an industrial grinder and collect the powder that comes out. This is so that the plants from different treatments can be tested in the lab. 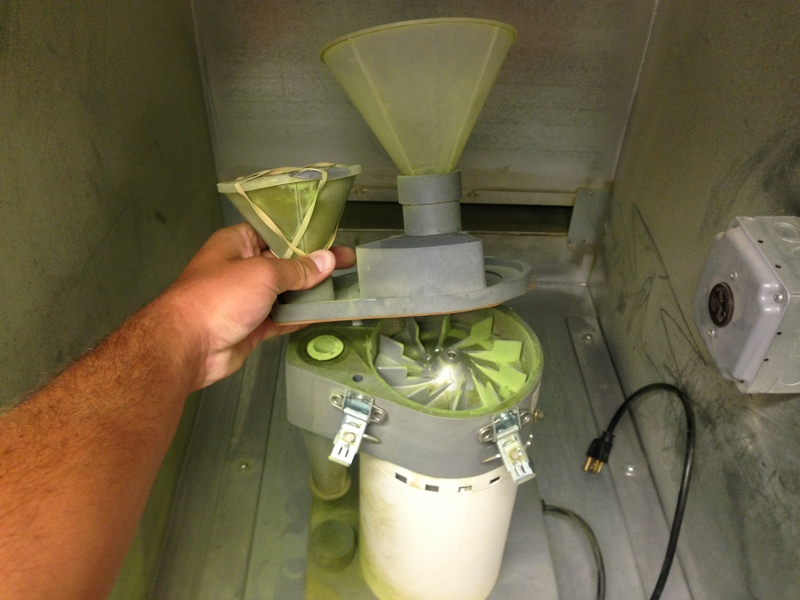 We’re also continuing our emissions project that I described on the last post. Now that the corn is taller, it’s easy to see the effectiveness of all the different treatments, so that’s exciting. However, we’ve recently made a change to the experiment. Since the corn, grass, and alfalfa are all so tall under the chambers, extensions must be used. This isn’t a big deal, though, as the time that the chambers remain on the bases will just need to be lengthened. Other than that, we’ve really just been doing a lot of soil sampling in a lot of different parts of the state. It makes for long days, but I can’t complain. I was told that the craziness of fieldwork should slow down in a week or so, so I’m sure I’ll have some new job to describe later.